This is a collage I worked on last year, partly to acknowledge a very good story I had just read, written by Canuck, who’s given me permission to share it here. I’m sure many of you have read it, but here it is anyway. How does my collage relate to the story? Well, in both cases the little guys have balls. Huge ones. However, in my collage, they came into unlawful possession of their balls, and shall have to be punished appropriately… until they escape and/or plot a comeuppance. In Canuck’s stories, little guys are always planning something wicked against much taller women (such as stealing their doughnuts). And the title of the collage? 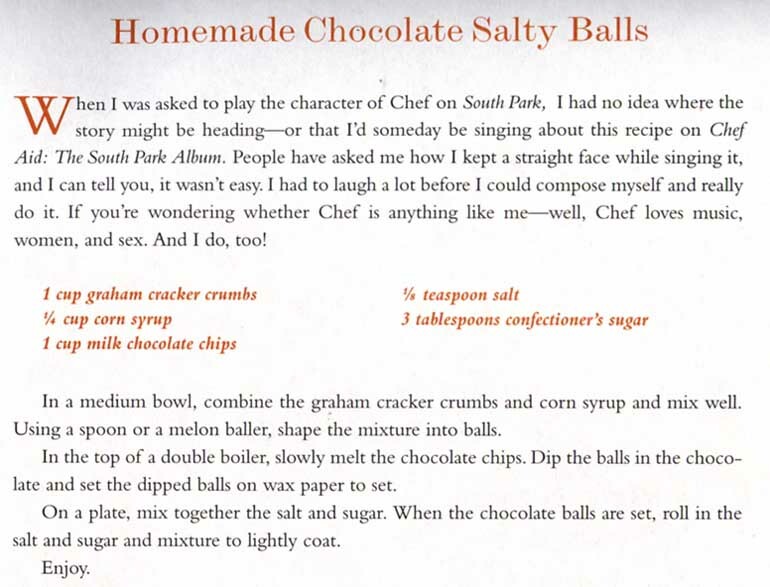 Well, it was the only chance I had to name a collage “Chocolate Salty Balls”, and here’s the recipe, from Isaac Hayes’ book, one of my favorite in my cookbook collection. The meatloaf recipe is probably the best I’ve ever tried.